On the East Coast of Puerto Rico, close to our home in Palmas del Mar, Puerto Rico is an adorably named place of Monkey Island. The island is easily visible from the shore, and looks nothing like a monkey, perhaps from overhead. Nope. Cayo Santiago, also known as Monkey Island, is shaped like a lower case r, and is a research colony/habitat to a bunch of Rhesus Monkeys. 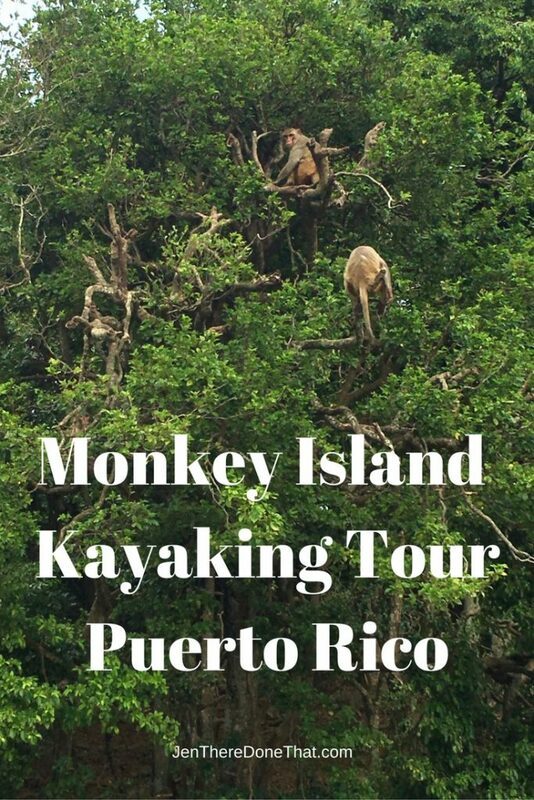 And you can kayak out to the island for up close viewing of the Monkeys!